Updated parent screen with more info on preschool apps for young learners. Young kids ages 2-5 play fun puzzles and games (plus sticker rewards!) in the tiny world of cute bees, ladybugs, butterflies, worms and all their buggy friends. And it's a Parents' Choice Award Winner! 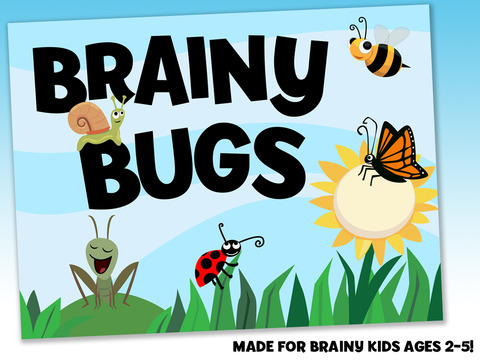 Featuring colorful art and animation, custom sound effects and original music, Brainy Bugs keeps kids having fun while they learn. No reading is required, and the interaction is intuitive enough for a child as young as 2 to jump in and start learning without help. 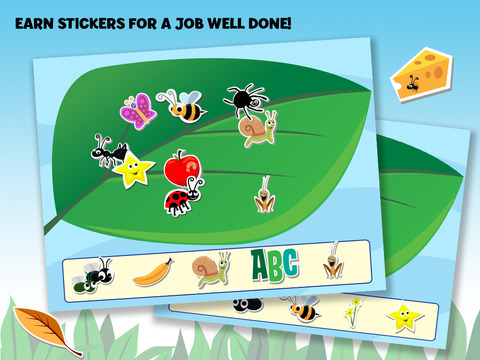 * Stickers are awarded throughout the games to keep kids motivated as they learn. 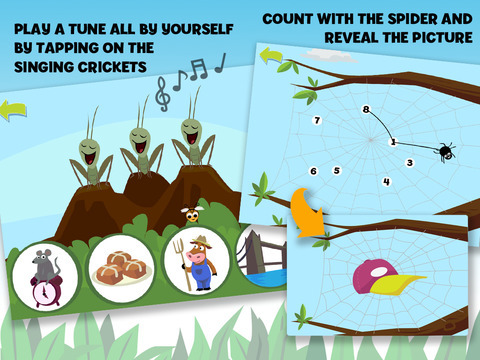 From the makers of the award-winning preschool apps Zoo Train, Brainy Bugs, Giggle Ghosts and the Even Monsters app series! Visit www.busybeestudios.com for printables and more fun! This app contains NO ads, NO in-app purchases, and NO data collection. This app does contain links to our website and to the iTunes app store, found only in a parent screen that is protected from younger users. Busy Bee Studios is a member of Moms with Apps, a collaborative group of family-friendly developers seeking to promote quality apps for kids and families.